Led Blocs - 4 Light Spotlight Square, Chrome, Clear Glass (Ice Cube) - This 4 Light Spotlight Square Is The Beautiful Addition Your Home Is In Need Of. 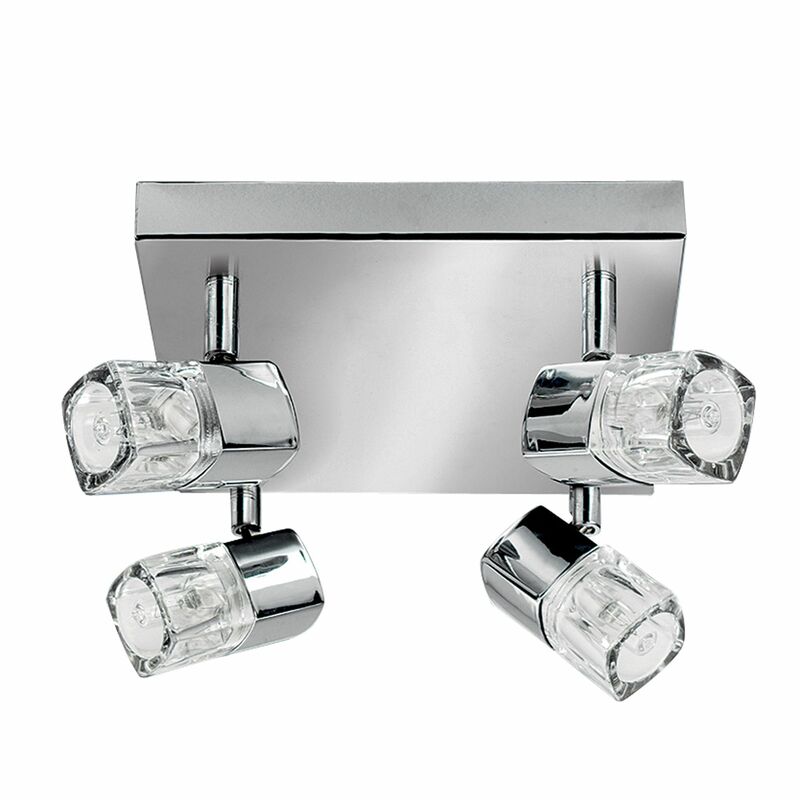 The 4 Spotlights Are Attached To A Chrome Square And Their Clear Glass Ice Cube Design Further Emphasises The Glamourous Appeal Of The Item. Leds Use Up To 85% Less Energy And Last Up To 20 Times Longer Than Incandescent Bulbs.